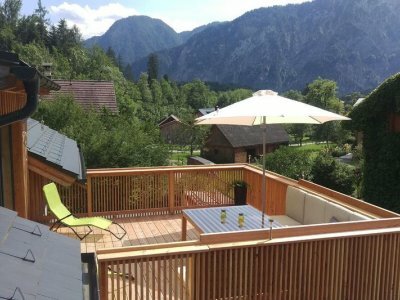 Here you will find numerous holiday apartments in Bad Goisern on Lake Hallstatt, Gosau, Hallstatt and Obertraun for your next summer or winter holiday in the Salzkammergut. Search in the comfort of your own home for your next holiday apartment. Compare the numerous offers and book online - directly with the owners - commission free and inexpensive! 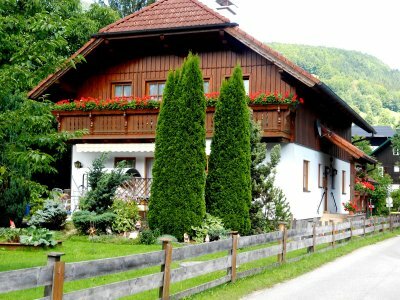 Enjoy a pleasant and relaxing holiday in Austria. 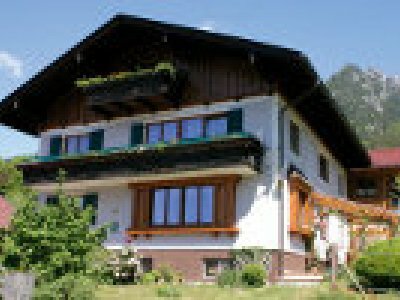 Holiday apartment Egger-Sydler Bad Goisern a.H. The holiday apartment Egger-Sydler lies in Bad Goisern near the town center (5 minutes away on foot). Surrounded by fields and mountains, you can spend your holiday relaxing or adventuring, whatever your heart desires! Apartments Winkler Bad Goisern a.H. The apartments are 64m² and 70m² in size, are located on the first floor and can accommodate 1-4 persons. You can reach it with an outdoor staircase through a private entrance. "Waldbankerl" holiday home Bad Goisern a.H. 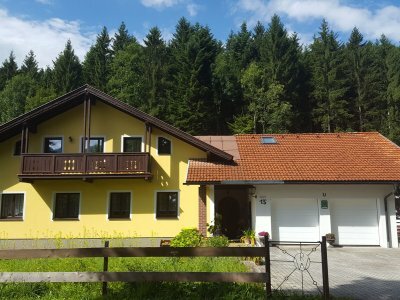 Spacious holiday home with three double bedrooms for up to 6 people, large garden, terrace, cosy living room with a tiled stove - in a quiet location, directly on the edge of a forest. Perfect for families! Apartment Hausjell Bad Goisern a.H. Apartment Hausjell - Relax and recuperate in our 120 square meter apartment. Holiday in the World Heritage region of Hallstatt / Dachstein Salzkammergut at its best! Book online now! Helga Hummelbrunner's Holiday home Bad Goisern a.H. Relax in our lovingly furnished holiday home (for 2-4 people): With the conservatory, which is integrated into the lounge, with light coloured solid wood furnishings, surrounded by beautiful meadows and mountains. Apartment house Puntigam Bad Goisern a.H.
Gemütliches Gästehaus in Bad Goisern am Hallstättersee mit 4 Ferienwohnungen. 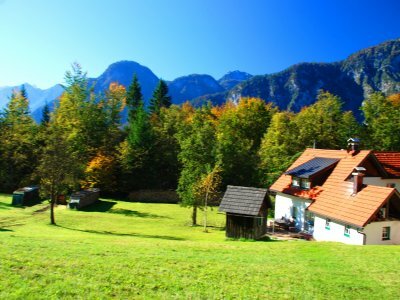 In der schönsten Landschaft, dem Salzkammergut bieten wir Ihnen gemütliche Atmosphäre und unsere Aufmerksamkeit. 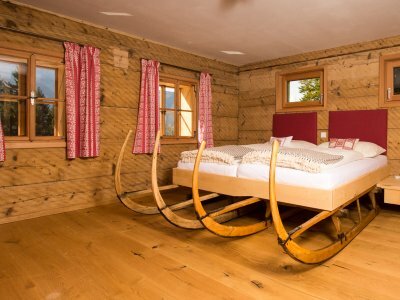 Holiday house / apartment “Ramsau 8” Bad Goisern a.H.
Are you on the lookout for something original? 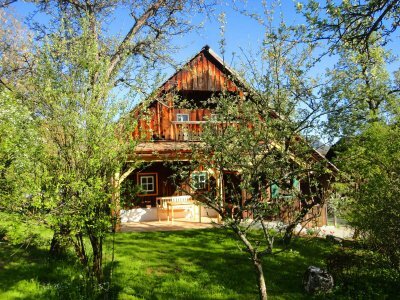 For authentic living and relaxation within rural countryside? For 2 adults and 1 child? Then you have found the right place! 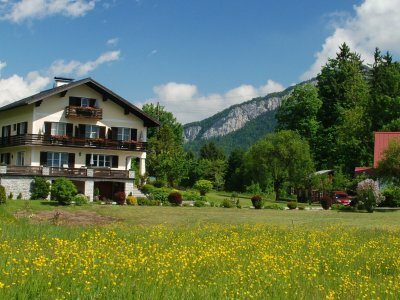 Holiday apartments “Gerlinde Sams“ Bad Goisern a.H.
Holiday apartment “Doris” with swimming pool Bad Goisern a.H. There is plenty of room for comfort and cosiness in the apartment, for 2 to 4 people, from family Frauenhuber - the best service and warm hospitality included. Apartment House Peer Bad Goisern a.H. 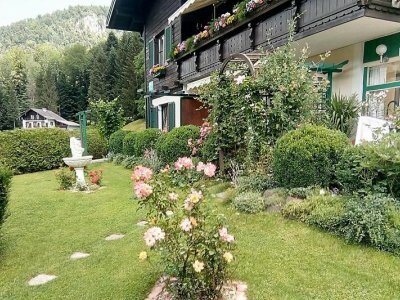 Spend unforgettable holidays in one of the two lovely apartments of House Peer in Bad Goisern on Lake Hallstatt. Relax and feel at your ease! Enjoy a paradise that is perfect for your recreation! Holiday Apartment & Private Rooms Edith Grill Bad Goisern a.H.
Gertraud Neuhuber’s holiday apartment Bad Goisern a.H.
Our very spacious holiday apartment is just 3 km from the centre of Bad Goisern. It consists of a fully-equipped kitchen/living room, one double room, a triple-bedded room, entrance hall and separate bathroom. 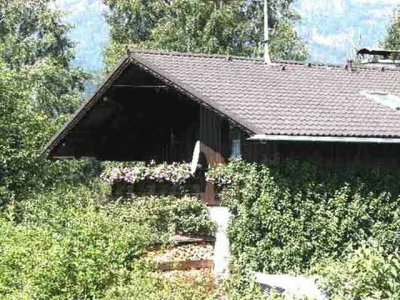 Private Holiday Home Danzer Bad Goisern a.H. 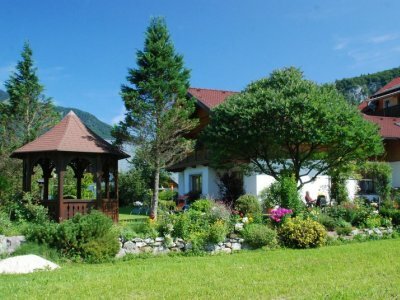 Welcome to the accommodation Ferienwohnung Danzer, Private Holiday Home, Bad Goisern, Upper Austria. Apartment Lauer Untersee Bad Goisern a.H.
Holiday in the town Untersee in Bad Goisern! A lovely view of the Hallstatt lake awaits you, as well as a beautiful mountain panorama and a friendly atmosphere. Holiday apartment Stüger Bad Goisern a.H.
Herrliche Ausblick auf die Goiserer Bergwelt genießen, einen lauen Sommerabend auf der Terrasse verbringen und die Tage in der Welterberegion rund um den Hallstättersee unvergesslich machen. Für bis zu 4 Personen. Holiday apartment ”Waldharmonie” Bad Goisern a.H.
Two old houses in a small clearing in the Herndlersberg forest. One house - number 23 - was originally built out of stone around the year 1800. The house with number 24 was a stable. In 1817, the stable was extended to include a small living area. 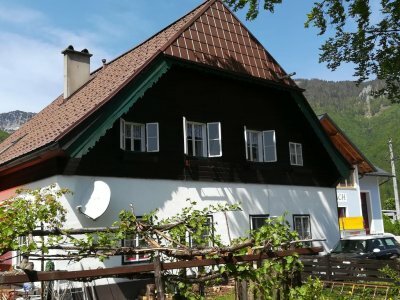 Apartment "Rehkoglgut" Bad Goisern a.H.
Das original Goiserer-Haus liegt auf zirka 700m Seehöhe in mitten einer ruhigen Berglandschaft. Zahlreiche kleinere, aber auch anspruchsvolle Wanderungen können direkt von der Unterkunft unternommen werden. 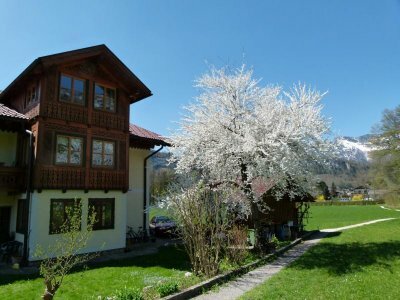 Ferienwohnungen Arikogel Bad Goisern a.H.
Our family friendly holiday apartment in Bad Goisern am Hallstättersee is situated approximately 30 minutes' walk from the village centre. Numerous hiking and cycling trails pass literally by our door. There are also many mountains just waiting to be climbed and explored! 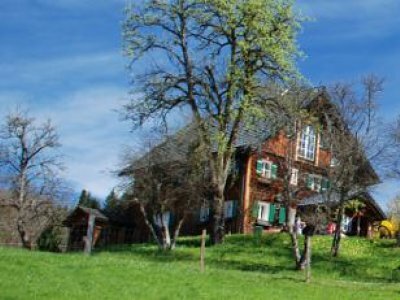 Holiday home ”Weißenbach” Bad Goisern a.H.
. Set in a historic building from the 19th century and features accommodation with free WiFi. Holiday home Oppitz at the river Traun near Lake Hallstatt Bad Goisern a.H.
Holiday home on the river Traun by Lake Hallstatt. Apartments in lovely location for up to ten people. Parking, panoramic balcony and large garden with lawn. 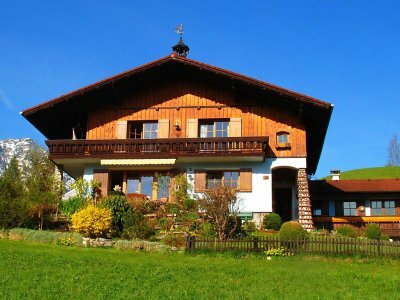 “Haus am Sarstein“ – Holiday Home Bad Goisern a.H.
Holiday Apartment for 2 people on first floor. Quiet location above Lake Hallstatt. Parking space in front of house. Separate Entrance. Large sunny garden. Your free holiday adventure card! 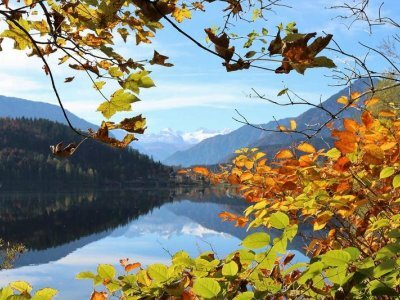 A holiday, in the UNESCO World Heritage region of Hallstatt Dachstein Salzkammergut, is now twice as rewarding: Enjoy unforgettable experiences and save at the same time! How does this work, you ask? With the Salzkammergut Adventure Card or the Salzkammergut Winter Card. - Depending on the season! These cards are free, when staying for three nights or more and are available from numerous accommodation establishments as well as in the four tourist offices of the Dachstein Salzkammergut holiday region. This will turn your summer holiday in Bad Goisern, Gosau, Hallstatt and Obertraun, into an unforgettable experience! 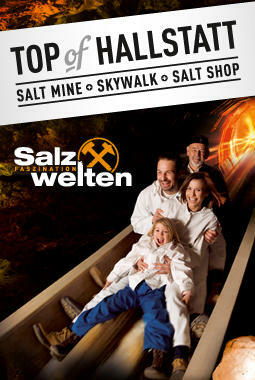 Here is an overview of the attractions and leisure activities where you will receive a discount with the Salzkammergut Adventure Card or the Salzkammergut Winter Card! We wish you relaxing holidays between mountains & lakes within the World Heritage. 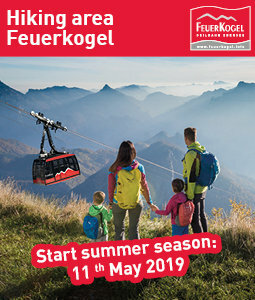 When is the next cable car to the Dachstein Plateau in Obertraun? When does the next sightseeing ship depart from Hallstatt? With the four tourism platforms of the UNESCO World Heritage site of Hallstatt Dachstein Salzkammergut // www.hallstatt.net // www.bad-goisern.net // www.obertraun.net // www.gosautal.net // you will always stay up-to-date on current hours of operation, itineraries and more. 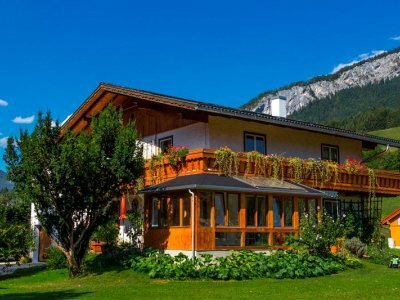 If you’d like to use this information for during your stay in the holiday region of Dachstein Salzkammergut, then we would suggest that you save the appropriate website of your holiday destination in your favourites list on your smartphone or tablet. 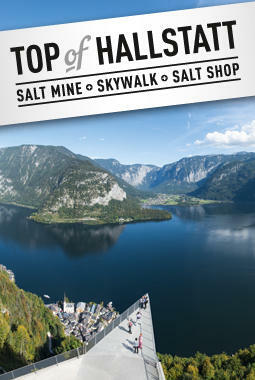 Then, you will always be informed during your holiday in the Salzkammergut. We hope to see you in Hallstatt, Gosau, Bad Goisern and Obertraun! The Salzkammergut Erlebnis-Card: Why pay more…?